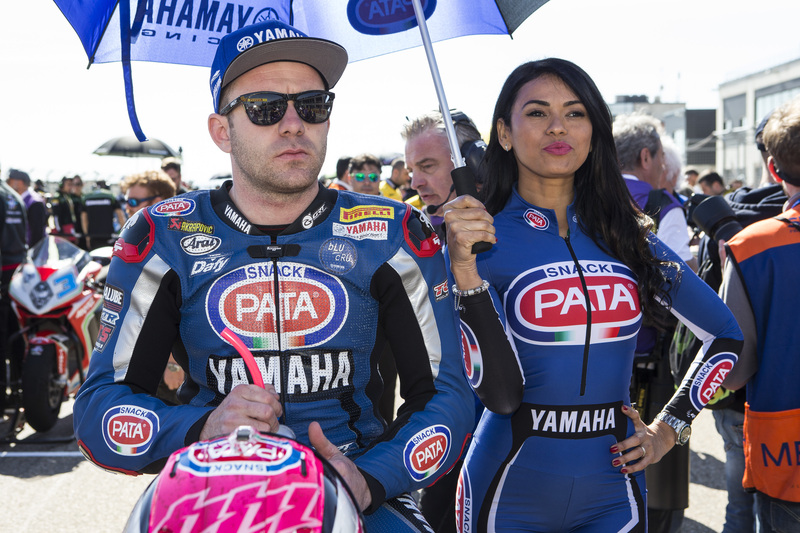 The GRT Yamaha Official WorldSSP Team enjoyed a strong Sunday in Aragon at Round 3 of the 2018 FIM Supersport World Championship. Federico Caricasulo maintained his 100% podium record in 2018 by charging to a hard-fought second-place finish after a superb ride from the 22-year-old Italian. Reigning WorldSSP Champion, Lucas Mahias, missed out on the podium for the first time in 4 races as he could not quite find the perfect setup for his R6 due to the changeable conditions experienced over the weekend. Despite this, he fought his way to a battling fourth-place finish to retake the overall Championship lead. It was a disappointing end to a truly promising debut in the European Supersport Cup for Alfonso Coppola. After impressing throughout the weekend, he crashed out on the opening lap of the race at the first corner through no fault of his own. Caricasulo backed up his podiums in Phillip Island and Buriram with another stunning display of riding at Motorland Aragon on Sunday. Showing good pace all weekend, he lined up for Sunday’s race third on the grid and was involved in the battle for victory all through the race. Giving it his all in the podium battle, he led the race at the start and enjoyed an excellent battle with fellow Yamaha – and eventual race winner – Sandro Cortese for pretty much the entire race. As his grip levels faded towards the end of the race, he managed to hold off another Yamaha rider – the hard-charging Jules Cluzel – in the final few laps to bring his GRT Yamaha R6 home in second, just 1.426s behind Cortese, and make it three out three podiums in 2018. He now finds himself fourth in the championship standings with 49 points, just eight behind his teammate at the top. The reigning WorldSSP Champion Mahias arrived in Aragon level on points with Randy Krummenacher in the championship standings after both Yamaha riders had recorded a victory and a second-place finish in the opening two races, but he left on Sunday night having retaken the outright lead in the overall standings. Despite qualifying in second for Sunday’s race, the 29-year-old Frenchman has not been able to find the perfect setup with his R6 after being forced to miss most of FP1 on Friday due to the rain and had been playing catch up ever since. When the lights went out for Sunday’s race, Mahias had a good start but could not match the pace of the leading three riders and dropped down to fifth. Realising a victory was not on the cards, he instead decided to cleverly play the long game and bring home as many championship points as possible. He fought his way back to fourth and showed incredible consistency – not lapping outside of the 1:55s until his grip levels faded in the final two laps – ensuring he crossed the line in fourth place to collect a vital 13 points. He now sits on top of the championship standings with 58 points and has a four-point lead over Cortese in second. Coppola had impressed all weekend on his WorldSSP debut as he took part in the first round of the European Supersport Cup. The 20-year-Italian managed to improve from a 1:58.009 on Friday to set a 1:56.295 in SP2, meaning he would start Sunday’s race from 20th on the grid. When the lights went out he was keen to put in a good display but crashed out at the first corner due to an issue beyond his control. He bravely rejoined the race but was forced to retire due to the damage to his bike on lap nine. Understandably disappointed, the 2017 Yamaha R3 bLU cRU Challenge winner is determined to bounce back at the next round in Assen. Continuing Yamaha’s dominance of the class in 2018, they completed another lockout of the podium and the GRT Yamaha Official WorldSSP Team (107 points) now have a 42-point lead in the Team standings, with all three riders back in action at Round 4 of the WorldSSP Championship in Assen on the 20th-22nd of April. Check out the full race results.